Mrs. Marlene Dibrell was installed as Supreme Deputy in Texas, IORG, on June 16, 1999, at the close of the Grand Assembly Session in Corpus Christi, Texas. Mrs. Mary Muhs, Supreme Worthy Advisor, served as the Installing Officer and Mr. Joe Blair, Supreme Parliamentarian, was the Supreme Chaplain for the Installation Ceremony. She was elected as a member of the House of Gold in 2008 and named Supreme Inspector. In 2010 she was named to the office Supreme Fidelity. In 2011 she resigned her duties as Supreme Inspector, maintaining her membership in the House of Gold, and in 2012 she was appointed Supreme Nature. She also is the designated Supreme Liaison with Mexico for the IORG. In addition to her Supreme Offices she has served on several Supreme Committees, including the Ritual Committee and the Supreme Temple Committee. Mrs. Dibrell attended high school in Big Spring, Texas, as did her husband, David B. Dibrell, and then the University of Texas at Austin. They are active members of the First United Methodist Church of Richardson. Marlene and David have enjoyed the opportunity of working with the youth groups of their church and various community organizations, always assuming places of responsibility and leadership. Their lives have long been associated with and dedicated to the Masonic Fraternity. Mrs. Dibrell is a majority member of the International Order of the Rainbow for Girls, having been an active member in Assemblies located in Clovis, New Mexico and then in Big Spring, Texas. She is a recipient of the Grand Cross of Color. She is a member of Dal-Cliff Chapter #574 and Richardson Chapter #921, Order of the Eastern Star and is a Past Matron of both. 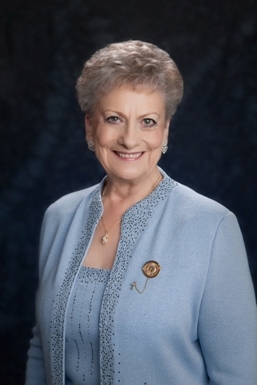 She has had the honor of serving the Grand Chapter of Texas as Deputy Grand Matron, District Deputy Grand Matron, Grand Examiner for four years, as well as subsequent years as Grand Organist and Grand Esther and Grand Representative to California in Texas. She holds membership in the Social Order of the Beauceant, Daughters of the Nile, Order of the Amaranth, and the White Shrine of Jerusalem. Mr. Dibrell is a member and Past Master of Richardson Masonic Lodge # 1214. He served as Most Worshipful Grand Master of the Grand Lodge of Texas in 2001. He is a Past Patron of Dal-Cliff Chapter #574 and Richardson Chapter #921, Order of the Eastern Star, and served as Worthy Grand Patron for the Grand Chapter of Texas in 2011-2012. He was a member of the Order of DeMolay, serving as Master Councilor of Big Spring Chapter, and received the degree of Chevalier, the Legion of Honor and the Cross of Honor. He is Dean of the North Texas Preceptory of the Legion of Honor and is a full member of the International Supreme Council of DeMolay. He is a recipient of the Grand Cross of Color for his activity with Rainbow. His work with various Masonic related bodies is evident in a long list of impressive titles and responsibilities. In addition he is on the Board as a Trustee of the Texas Scottish Rite Hospital for Children in Dallas. Mrs. Dibrell is a retired professional and licensed interior designer, owning and operating Marlene Dibrell and Associates, Inc., headquartered in Dallas. She has held offices in both regional and national associations in her interior design profession. Her experience has earned her recognition and the honored designation of Fellow in Interior Design, She appeared for several years in the International list of "Who's Who of Interior Design." Although she has worked with all colors and textures, her personal preference finds the color, blue, as a favorite. She enjoys collecting clear objects of crystal and has a fondness for crosses. Butterflies, as they pick up the colors of nature, always bring a twinkle to her eye. Her favorite flower is the Daisy. The Dibrells have two daughters Jo D. and Jill and two grandsons. Jo D. continues her Rainbow service and is currently a member of the Grand Committee for Grand Assembly of Texas. Mrs. Dibrell is known for her smile, her positive attitude and her enthusiasm for the International Order of the Rainbow for Girls. Her favorite scripture is Psalm 118:24, "This is the day which the Lord has made; let us rejoice and be glad in it." There is a ripple effect in all that you do.